What do I wear with: Nylo “Diana”? Each Wednesday we’ll answer the on-going question: “What do I wear with these?” It’s a question we get quite often here at the shop and we love giving suggestions when helping our customers. This week we feature the Nylo Diana. How about this little ankle boot ladies? 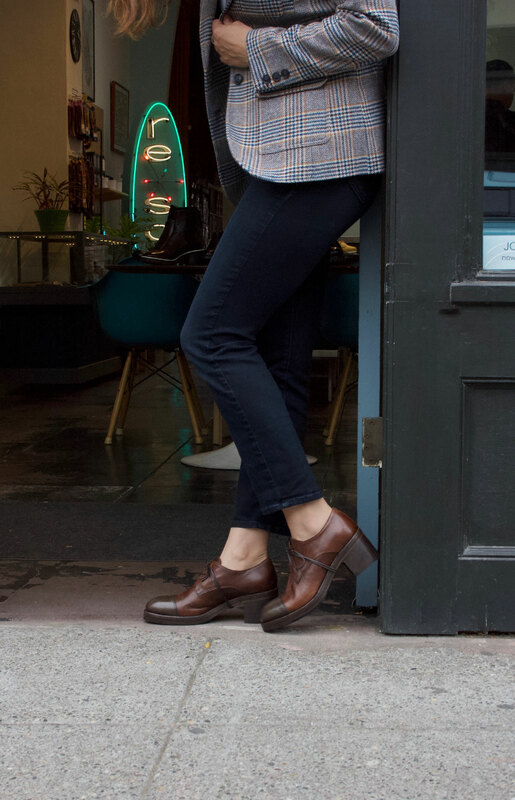 Handmade bootie with an attractive stacked leather heel that makes the length of your legs go on for miles. Wear it with boyfriend jeans and a leather bomber for a casual look or with a flowy skirt and a crew neck wool sweater for a date night. Either way, it gives any outfit a fresh modern look. > Women’s ankle bootie, Nylo “Diana” in mouse, made in Italy. > Jo Handbags “Saddle” bag in oiled leather and canvas. > Laura Lombardi “Votum” necklace in mixed metals, made in USA.